Last month, we hosted a Social Media State of the Union webinar that focused on the rapid emergence of three newer social platforms: Instagram, Google+ and Pinterest. While each of these channels has certainly sequestered significant industry buzz throughout 2012, the major of hospitality marketers are still testing the waters to figure out how each platform can contribute to a more engaged, integrated social media plan. Over the next few weeks, we will take a more in-depth look at each of these channels and provide some tips and insights as to how to best manage your hotel or restaurant’s presence on each channel. 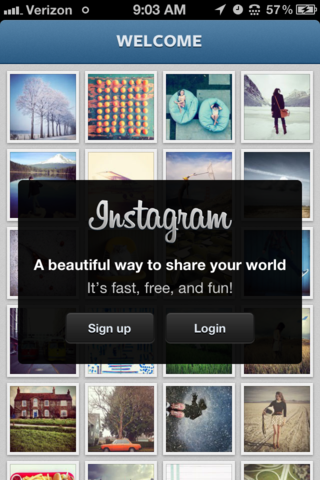 First up: Instagram. Even if you are unsure what kind of content you want to post using the application, creating an account will allow you to survey the landscape and source user-generated content that has likely already been tagged about your brand. 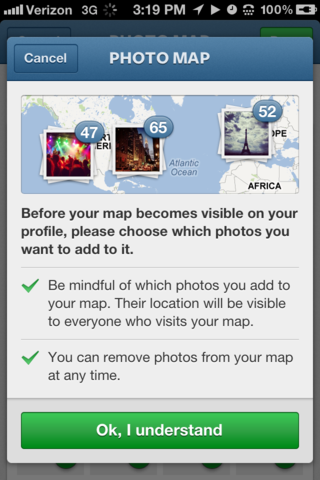 3) Upload a recognizable hotel or restaurant photo as your default Picture. 2) Website is listed to ensure users can find you on their mobile device. what kind of content most resonates with those users. It’s worth noting that you can also search for you brand by using the Explore > Hashtags feature that is accessible via the mobile application directly. By utilizing the same websites as listed above, begin to formulate a content strategy based on what kind of photos are most engaging on the platform. While your hotel or restaurant’s content should be wholly unique to your brand’s identity, there is often much to be learned from companies that are more experienced in the space. As we pointed out in our social media state of the union webinar, hotels like the Fontainebleau Miami, Beverly Wilshire and W Hotels in New York City are all utilizing the application extremely effectively. Use these examples as a jumping-off point when determining what kind of content you will want to share. your brand (e.g. #NYC #UpperEastSide, #hotel, #vacation). more examples of brands that are leveraging Instagram effectively, have a look at this list published by Business Insider. Perhaps the best feature of Instagram is its sharing capabilities. As social marketers have less and less time to devote to managing social media, one might assume that Instagram is just another consideration that will absorb even more time. On the contrary, Instagram is a tremendous timesaving tool that, in reality, will make your social media outreach both more engaging and efficient. With photos driving the most engagement on Facebook and Twitter, it is imperative that you give permissions to your hotel or restaurant’s respective social media accounts (Twitter, Flickr, Tumblr and Foursquare) to the application to achieve the maximum social reach of your message. 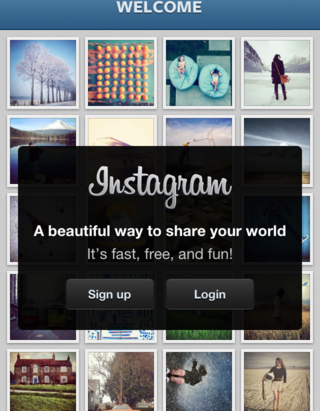 At the time of this writing, you are only able to directly share an Instagram photo to a personal Facebook page (associated with an individual) and not a brand page. That said, it is absolutely worth using an Instagram photo or compiling an album of photos as part of your Facebook content strategy. Once you’ve gotten into your groove on Instagram, start to think about other ways you can engage and excite your customer. Holding an Instagram contest to encourage your customer to share, for example, proved very successful for this Los Angeles-based restaurant and can be similarly effective for your hospitality brand. These are great tips – esp. checking out what others are doing.